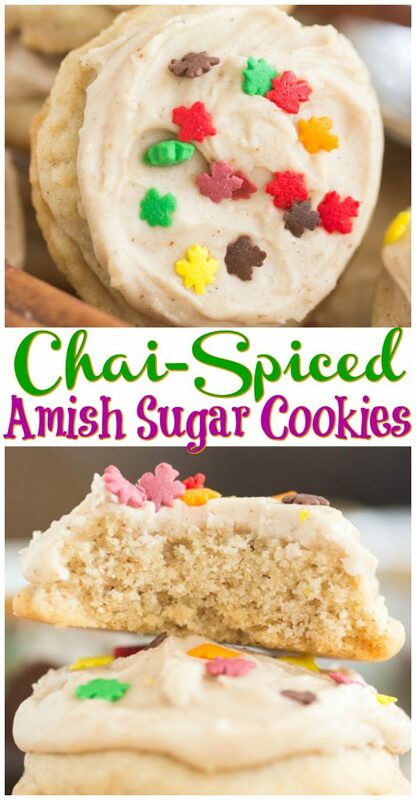 Soft, puffy, melt-in-your-mouth Amish Sugar Cookies, with a chai-themed makeover! 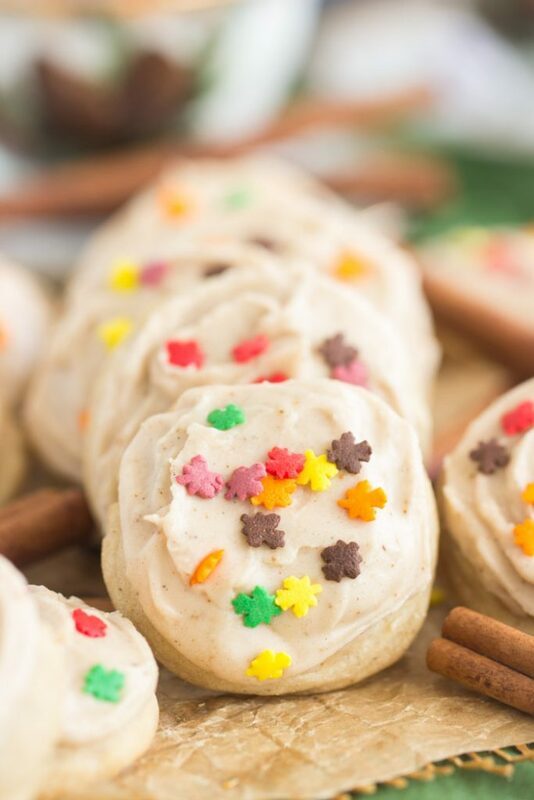 These Iced Chai-Spiced Amish Sugar Cookies are full of warm, cozy spices in both the cookie and the frosting. 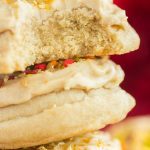 These Iced Chai-Spiced Amish Sugar Cookies could not be easier, are made with common pantry ingredients, and produce a large batch of cookies. 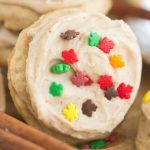 I started to post a different recipe, something that ISN’T Amish Sugar Cookies, something to mix things up, but to be honest with you, I made A LOT of different Amish Sugar Cookies recipes for this fall and holiday season, and I decided to just blast them out in quick succession. 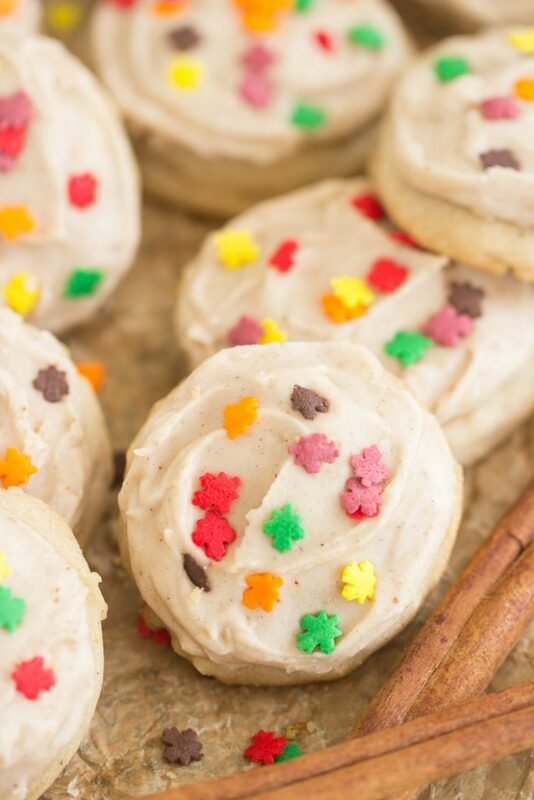 We’ll have an Amish Sugar Cookie-themed week, if you will. That sounded a lot more fun to me. What do you think? Except for the Christmas-y cookies… those are coming later. To be frank, I bring you a lot of versions because we BOTH love them. 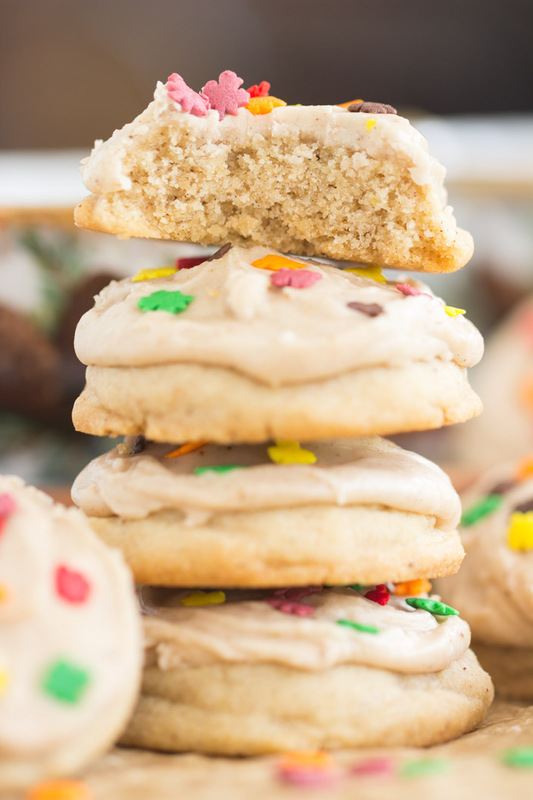 I adore these cookies – they’re a personal fave – and you guys all seem to love them too. It’s a win-win. 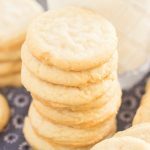 Over the last few weeks, I had a blast brainstorming all the different ways that Amish Sugar Cookies could be tweaked or dressed up to create an entirely new cookie flavor, but that still highlight the best qualities of those cookies. 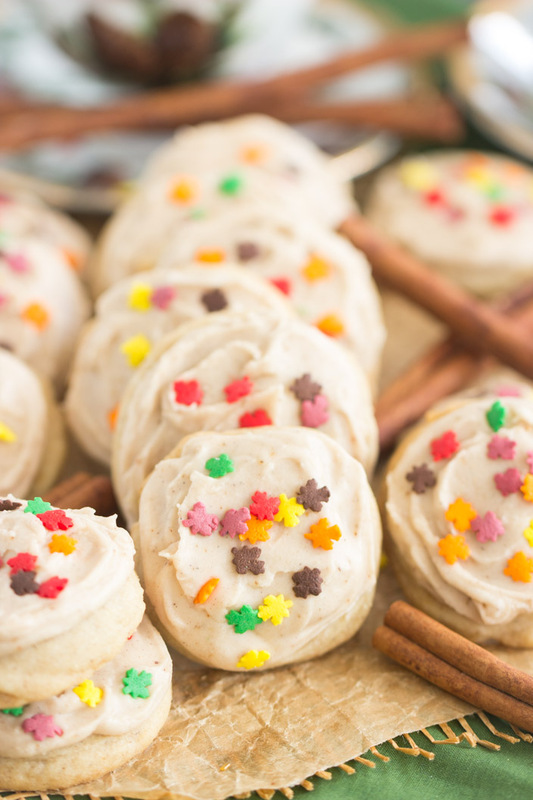 These Iced Chai-Spiced Amish Sugar Cookies are one of the first examples. 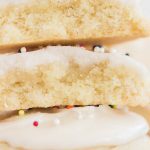 These retain the best features of traditional Amish Sugar Cookies: they’re a lot of a cut-out cookie, but they’re a drop cookie, so they’re a fraction of the work. No chilling, no rolling & cutting. They’re very soft, puffy, and pillowy. 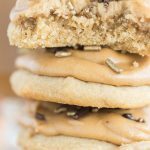 The texture of these is unmatched, and that stays front and center in these Iced Chai-Spiced Amish Sugar Cookies. 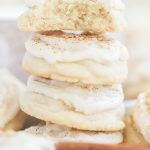 My Iced Chai-Spiced Amish Sugar Cookies are still simple and easy – you’re really just adding a balanced ratio of warm, cozy spices to both the cookie and the icing. That’s it. A whole new cookie flavor though, and they’re wonderful. I love chai things in the fall, and so these cookies really hit the spot. Chai tea lattes are one of my very favorite splurges throughout fall, and I always crave chai tea this time of year. 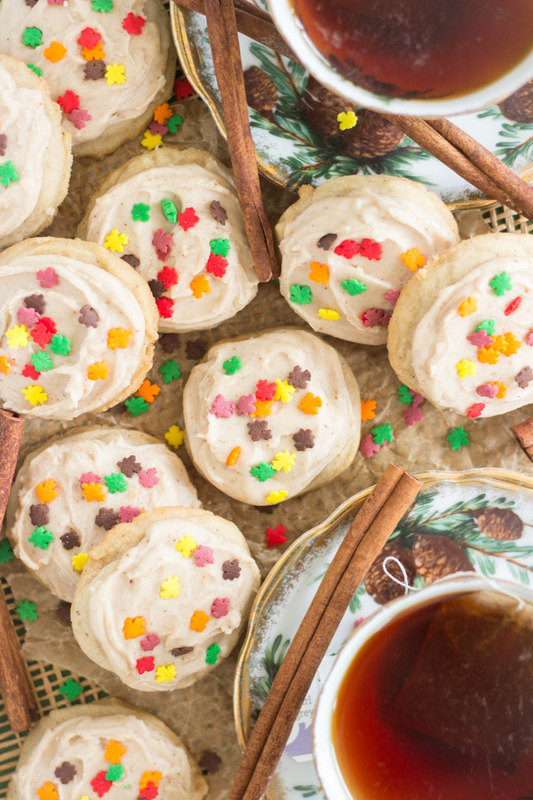 These Iced Chai-Spiced Amish Sugar Cookies definitely capture the essence of a good chai beverage. 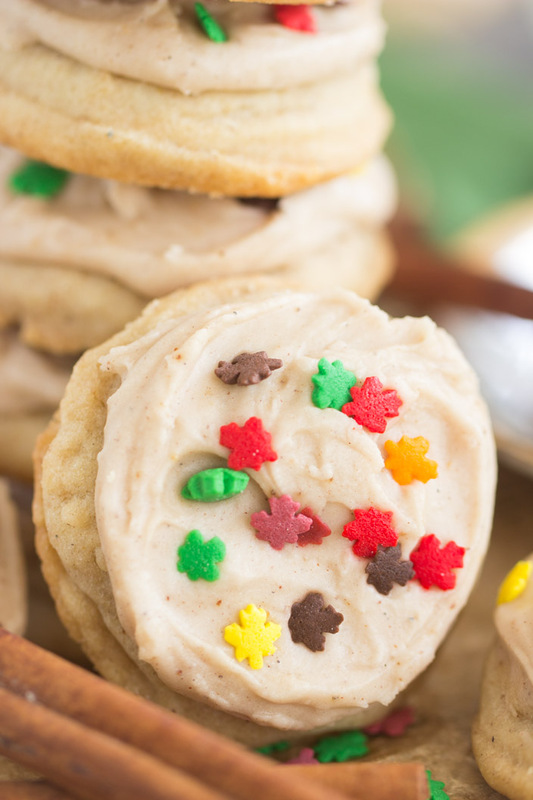 Amish Sugar Cookies are nothing if not versatile, and I think that’s why I find them so inspiring. I have A BUNCH! In a large mixing bowl, beat the butter, oil, and sugars until combined. In a large bowl, whisk together flour, baking soda, cream of tartar, and spices. Gradually add flour mixture to the butter mixture, beating until just combined after each addition. Do not overmix. Drop dough by teaspoonfuls onto baking sheets. Bake at 375 for 8-11 minutes, or until edges and bottoms are lightly browned. Whisk together butter, vanilla, 1/4 cup milk, and spices, until smooth. Stir in 4 cups powdered sugar, mixing until smooth. Add additional milk or powdered sugar, as needed, to achieve a thick, but spreadable consistency. It should be thicker than a glaze, and it shouldn't run off the cookie, but should be easily spreadable. 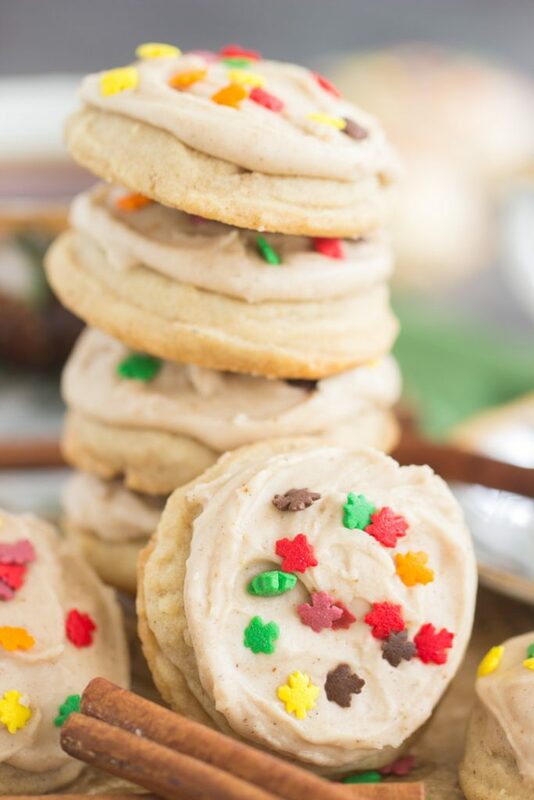 Frost cookies, decorate as desired, and allow icing to set. These are good for at least a week, but best within the first 3 days. After 3 days, they get crumbly and a bit on the drier side - still a delicious cookie though. These freeze really well! Iced or plain, they freeze beautifully. I've made these Amish Sugar Cookies into Pumpkin Spice Latte Amish Sugar Cookies, Iced Almond Cookies, Iced Lemon Amish Sugar Cookies, Iced Orange Amish Sugar Cookies, Toasted Coconut Amish Sugar Cookies, Coconut Oil Amish Sugar Cookies, and Thin Crispy Amish Sugar Cookies!